Read about one of England’s greatest characters in a vivid tale of exploration, court opulence and calculated power grabbings. 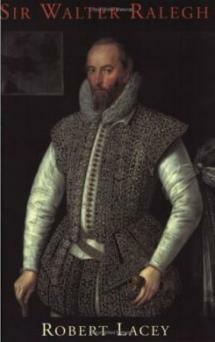 Sir Walter Raleigh was the most colourful and exciting of all the great Elizabethans. Explorer, poet, pirate and scientist, he was Queen Elizabeth’s most famous courtier and the archetypal Renaissance gentleman. This biography – the first to be based on an accurate chronology of Raleigh’s own writings – is at once scholarly and compulsively readable. It traces Sir Walter’s meteoric career from its humble beginnings on a Devonshire farm through the brilliant decade of the 1580s when Raleigh dominated the court, to the long years of his downfall. The life of one of history’s truly great men is told with verve, sympathy and understanding.